Family, friends, food, a glass of bubbly and, of course, a good book make me smile. I love writing emotional stories about love, loss, betrayal, and family, that explore how complex and yet beautiful love can be. I also like to write romantic comedy, letting the characters have a bit of flirty fun too! I believe in following your dreams and working hard towards them, which led me to Harper Impulse (Harper Collins) and a publishing deal (woop!) after many years of writing. Stunning Northumberland is my home – sandy beaches, castles and gorgeous countryside that have inspired my writing. There wasn’t one defined moment. From a child I’ve always been writing – poems, diaries, stories. I’m also an avid reader, I think the two go hand in hand. At 18 I do remember announcing that I wanted to become a novelist – but after studying English Literature at university, I got a sensible join a bank! It was in my mid-thirties, when I began writing more seriously, and that’s when I wrote my first novel. I had written a couple of novels, initially as a hobby, then I really wanted to get my writing published. That was easier said than done! I sent out so many submissions to agents, and got so many rejections back – that was quite gutting, but it was all a huge learning curve. A breakthrough was joining the Romantic Novelists’ Association. I took part in their New Writers’ Scheme, getting valuable feedback, and I was able to meet up with other authors who were so supportive. I had the opportunity to pitch to publishers and agents at the RNA Conference (which felt a bit like going into an X Factor audition!). From those discussions, I then got offered not one but two book deals on the same day! What an amazing day that was. I can’t pin it down to just one! Some of my favourite contemporary authors are Jojo Moyes, Maggie O’Farrell, Khaled Hosseini (The Kite Runner), Sebastian Faulks, and Rowan Coleman. I also love Thomas Hardy, Emily Bronte’s Wuthering Heights, and CS Lewis – The Lion, The Witch and The Wardrobe. One novel that has stayed with me and I’ve re-read several times is The Time Traveller’s Wife by Audrey Niffenegger. It’s such a beautiful love story, and the concept that the hero could time travel made their relationship so much more complicated and poignant. I don’t usually read novels with science fiction/fantasy type concepts, but this just felt so real – all credit to the author. The characters were so well written, and the emotions beautifully portrayed. On the days when I’m not at the day job (I help to run a holiday park! ), I try to write for about seven hours. I’ll probably walk the dog mid-afternoon, that often helps with ideas; when I’m out in the fresh air, not trying to think of something, a brain wave or idea for the next scene will often come to me. If there’s a deadline, I may work in the evening too, and if ideas are spinning in my head I have been known to get up in the middle of the night and write for an hour or so! No strange habits – I like to have a cup of tea or coffee to hand, and nearing deadlines some chocolate or cake often helps too! Initially I write longhand in an A4 lined pad, usually about a scene at a time, then usually the next day I’ll edit that on to my laptop. When I’m in full flow I can’t type as fast as my brain thinks up the story, so writing longhand is the best way for me for the first draft – though sometimes even I struggle to read my own writing later. No, they feel like members of my family who I love/like in different ways. I’m not a huge planner, though I am trying to plan and structure more. I have a strong idea and notes on how the novel’s plot and themes develop. I always know the beginning and the end. But I also like to get to know the characters as I write, and fill in the gaps along the way. I love it when inspiration strikes; often it’s something that happens to you or you observe in real life, and then it’s wonderful when it slots perfectly into the book. 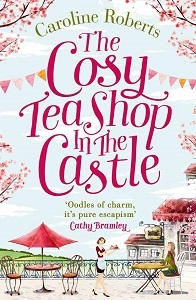 The Cosy Teashop in the Castle took five years from the initial ideas stage to getting published. I hadn’t been writing the book all that time, mind you. 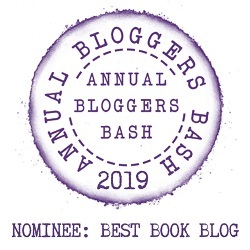 I was a member of the RNA’s New Writers’ Scheme, so after taking about a year to write it (working part time too) I sent it in, and got some really positive feedback. I re-worked it over the next year, and kept submitting to agents and publishers. Finally, HarperImpulse (Harper Collins) offered me a deal on two books. The Torn Up Marriage came out first, so the lovely Cosy Teashop had to wait patiently in the wings! It’s been worth the wait! Touch wood, I have never had writer’s block as yet. There are sometimes sticky times when you need to mull something over, or it’s not quite working, but I try not to worry too much, so I’ll either go for a walk on the beach or in the countryside with the dog, or if I feel I need to keep writing I’ll skip over that scene and keep moving forward to the next bit which I really do want to write. Sometimes, the tricky part doesn’t even need to be there once you’ve moved the story on, or it can be made quite brief just to link the story. And occasionally, you get a brain wave that sorts it all out. I wanted to have contemporary names that weren’t that unusual. Once I know what my lead characters look and act like, it’s just comes down to what name I feel suits them. Ellie looks quite similar to Adele the singer, but the book is set in the North East and she’s a Newcastle girl, so Adele would have to have a Geordie accent in the film! Joe was inspired by the character Harry in an earlier series of Silent Witness; tall, handsome, gentlemanly, cool at times and yet with a secret sense of humour and warmth – so someone like Tom Ward who played him. I have a close friend who reads all my novels before they get sent out. She’s well-read and enjoys contemporary women’s fiction. She will give me an honest opinion, so that’s great. Why do we hurt the ones we love, and can there ever be a way back? “The Torn Up Marriage” is about betrayal, complacency, love and loss, and that key instinct to protect your family. But what happens when you tear that family apart? Kate and Michael are about to find out as they cope with the crushing fallout of his affair, whilst trying to protect their two young children. This powerful and poignant novel captures the explosiveness of everyday life and what it is to be human; to make mistakes. Set in the historic town of Alnwick, Northumberland, with its stunning backdrop of castles, moorland hills and coastline, this relationship story of love and family takes you in a rollercoaster ride of emotions along with Kate and Michael. Michael’s mother’s battle with breast cancer shatters them all, yet shows them how precious life, love and family is. Can they find a way back and fight for their battered yet enduring love? So, what would you do if it happened to you? Could you betray? Could you forgive?